Nice has a wide range of different kinds of markets selling everything from food to clothes to antiques. Here’s our guide to the top 10, where you can find them, what they sell and when to go. There has been a flower market on the Cours Saleya since 1897, when farmers would arrive with their flowers, which would then be sent by train to various parts of Europe. When the wholesalers had left, individuals would be allowed in to buy the remaining stock. Wholesalers now use a different market and food and drink has been added. It’s a great place to eat lunch under one of the striped awnings and watch the world go by. On Mondays, the flowers and food are replaced with antiques. Opening hours: Food market Tuesday to Saturday, 6am-5.30pm. Sunday, 6am-1.30pm. Antiques market Monday, 7.30am to late afternoon. Ниццу нельзя представить без цветов. Цветочный рынок Course Saleya является настоящим украшением города. Down by the Old Port, there are a collection of antique shops which make up the Puces de Nice. It’s a great chance to find little gems, old jewellery and household items in a great setting. Opening hours: Tuesday to Sunday, 10am to 6pm (7pm in June, July and September). Closed Mondays. 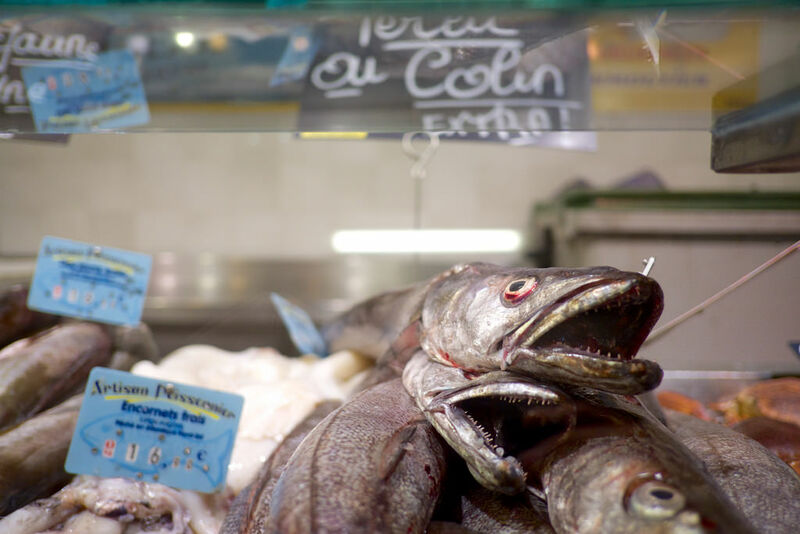 The fish market has been in Nice for centuries and offers lovely local catch of the day, both fish and seafood. It’s closed Mondays. Get there early to ensure you get what you want. The local fishermen can also help you by providing their favourite recipes. Opening hours: Tuesday to Sunday, 6am until the fish run out! Closed Mondays. Place Garibaldi is a beautiful square in the centre of Nice. Once a month, antique sellers hold a market where you can find vintage items, old paintings and other pieces of delightful bric-a-brac. Opening hours: The third Saturday of every month. This market is less well-known by tourists than the Flower Market but is much bigger and more used by locals. For that reason, it tends to be cheaper too and less crowded. It has everything the flower market has (flowers, fruit, vegetables, and local homemade produce like cheeses and breads) but it also has a covered meat market. Opening hours: Tuesday to Sunday, 7am to 1pm. Closed Mondays. 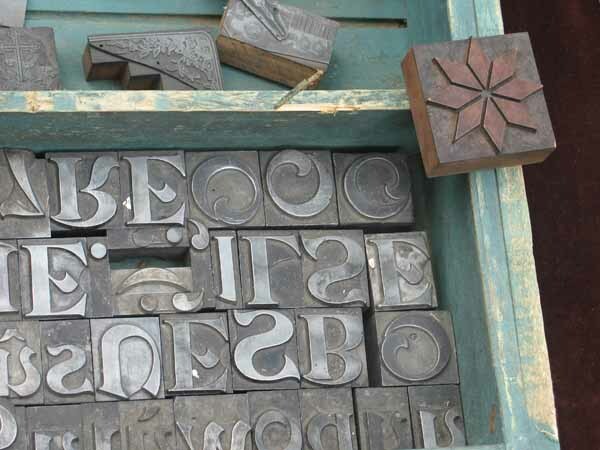 The Place du Palais de Justice is a great place to find arts and crafts made by local craftsmen (the second Saturday of the month) or old postcards (the fourth Saturday of the month). The ones in between are for second-hand books and antiques. A great place to people-watch over a coffee. Opening hours: arts and crafts every second Saturday of the month, and second-hand books and antiques every first and third Saturday. Old postcards every fourth Saturday of the month. Surfin' through memories. Sabato mattina, già due colazioni francesi sullo stomaco e una fiera vintage beccata per caso. E niente, amo navigare tra i ricordi altrui, perdermi tra le dediche e immaginare l'intreccio di vite legate da una semplice cartolina. On the first Sunday of every month there is an antiques market on the quay in the port. Get there early to grab a bargain. Opening hours: 7am to 1pm, first Sunday of every month. “Vide Grenier“, in French, literally means to empty your attic. People often take their unwanted items to sell in markets at the weekend and others go there to hunt for gems. Get up-to-date information on dates and times here. Every year, all the shops bring some of their items onto stalls in the streets to sell at reduced prices. It’s a big event when people teem through the streets looking for that perfect bargain. It takes place at the end of summer, in September or October. Keep an eye on Facebook for details nearer the time. Every Friday, there’s a great market just over the border in the town of Ventimiglia. Whilst not in Nice, it’s only a short ride away and definitely worth a mention. It’s the day everyone comes into the town – to buy, to sell or just to look. And it sells everything – handbags, fish, clothes, fruit, flowers – you name it. Not to be missed.